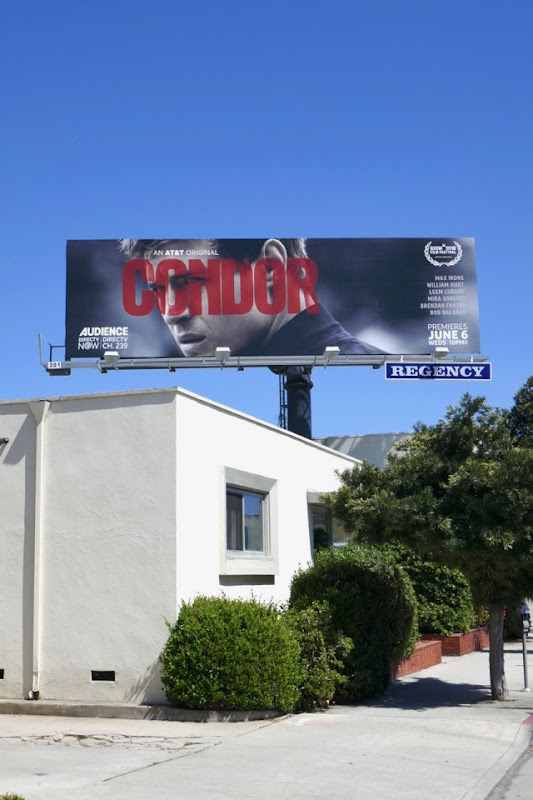 This June Audience's new series Condor brings the espionage thrills to the small screen with the help of Max Irons, Brendan Fraser, Mira Sorvino, Bob Balaban and William Hurt. 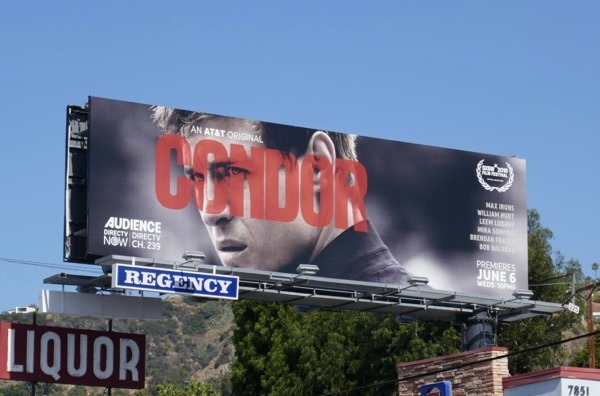 The series is based on James Grady's 1974 novel, Six Days of the Condor, which spawned Sydney Pollack's 1975 political thriller, Three Days of the Condor, starring Robert Redford, Faye Dunaway and Max von Sydow. This new ten-episode spy series follows young CIA analyst 'Joe Turner' (Max Irons) who uncovers a plan that threatens the lives millions when he joins the global intelligence agency. 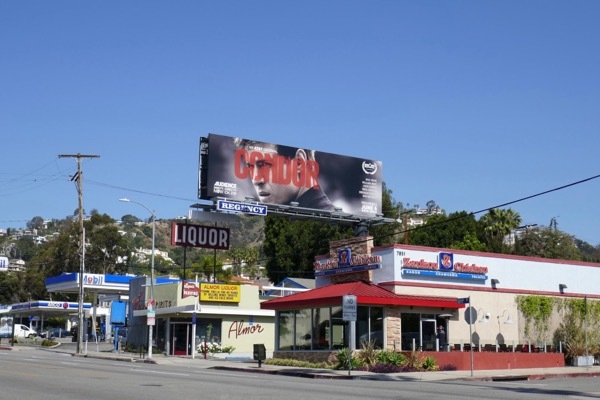 These series launch billboards for this TV remake were snapped along Sunset Boulevard and Westwood Boulevard from May 14 to May 17, 2018. 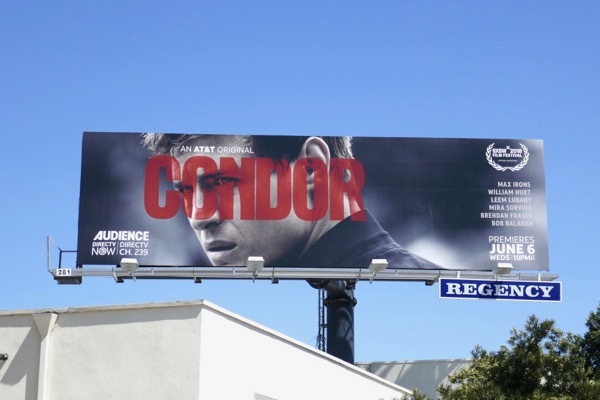 If CIA conspiracy is your thing, then maybe you'll also like these Jack Ryan: Shadow Recruit movie billboards, these Homeland TV billboards and these Jason Bourne movie billboards.